If you have been following my Blog, you know that I started a Dear Jane Quilt-or as Brenda calls it- a Baby Jane Quilt, last year at Empty Spools Seminar in Asilomar, CA. 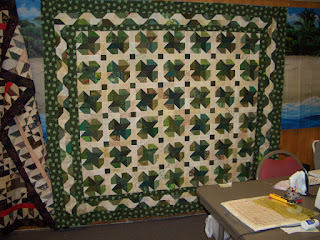 I was able to take the class with Brenda Papadakis who drafted and published all the blocks in her Dear Jane Book. 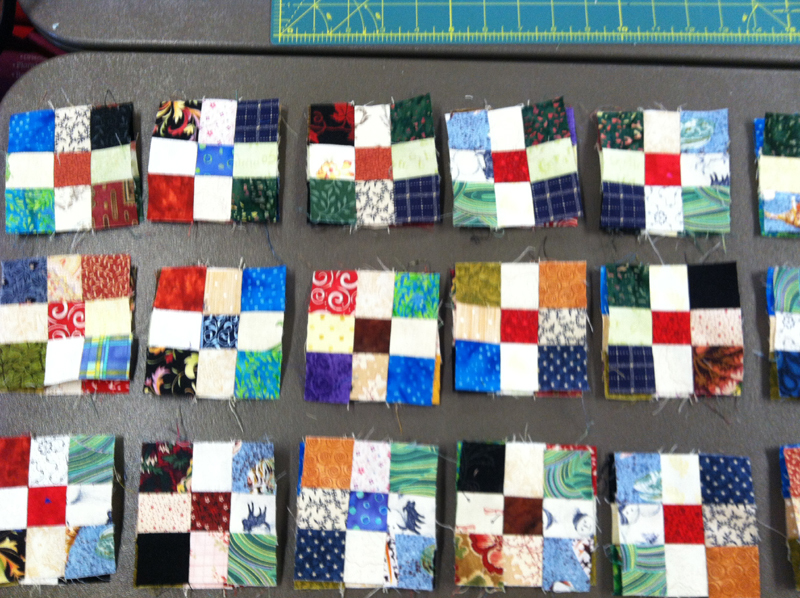 My wonderful quilting friends gifted me with about 25 blocks last year, and I was able to complete another 25 last year in the class, but did not work on it all when I returned home. Empty Spools Seminars is a unique experience with many well know instructors. If you ever have the opportunity to attend, I highly recommend it! Hope you are working on something fun this week! Boy, it has been awhile since my last post! I do have a finish to report- Woodland Clover is done!. It was finished on our June retreat a couple of weeks ago. What a great time we all had! Below is the finished quilt top- which has been added to the quilting que. This one will go to Joe- he was the inspiration for the green and the shamrocks! I was also completed my nine patch blocks for the Crab Apple swap. They are due on June 30th and it was nice to get them all finished. This Table Runner was also completed during our retreat- Still needs some borders- but just in time for Fourth of July. 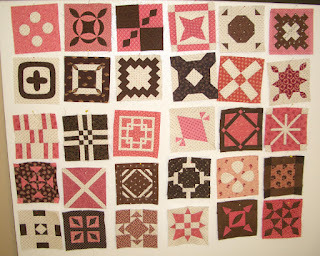 The pattern is from Cozy Quilt Shop and went together very quickly. Unfortunately, I have a number of acquisitions that I have to report. 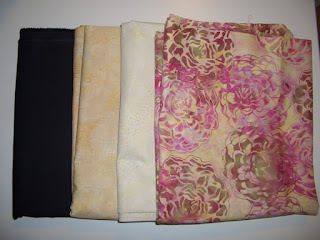 Purchased the batiks below and more Kona Black, all from Cozy Quilt Shop. I always like to have some Kona Black around, just in case. So for the last couple of weeks it was a wash- I added almost as much as I used! Used this week: 13.0 yards. 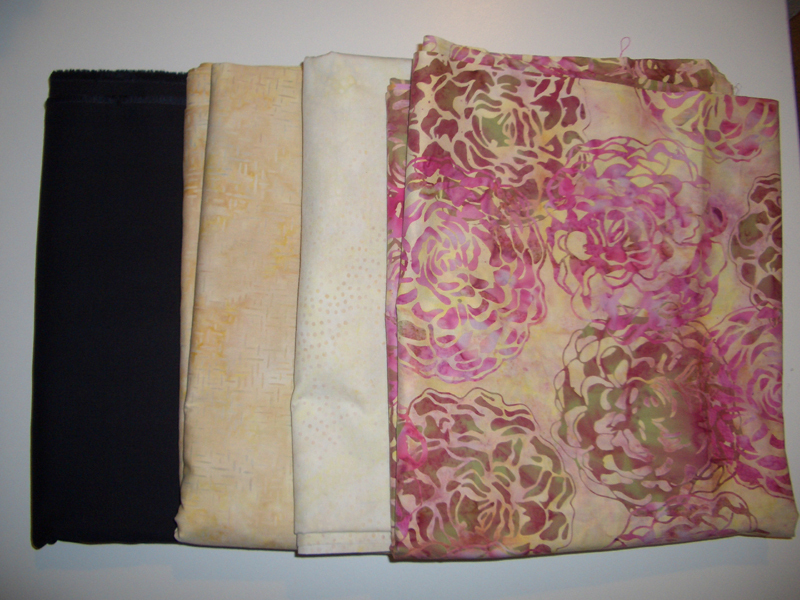 Purchased this week: 12.0 yards. Hope you had better results this week! Check out the other reports at Patchwork Times.